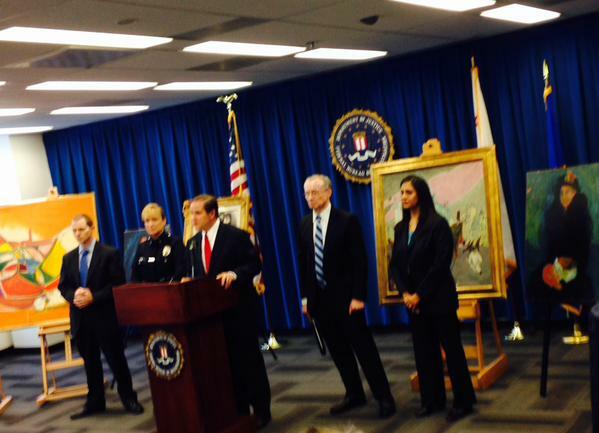 The FBI holds a news conference to display the nine paintings recovered in one of Los Angeles' biggest art heists. Lewis: Lot actually valued up to $12 Million. 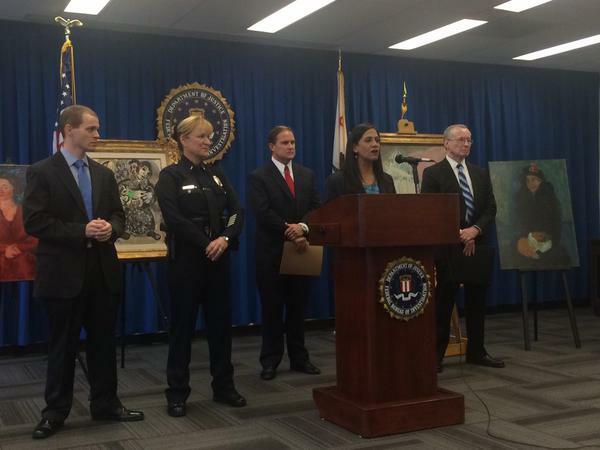 A $200 ,000 reward was offered leading to an overseas investigation. Lewis: Raul Espinoza has been charged for the crime following undercover investigation. Lewis: "The rich history recovered cannot be understated." A reward of $25 ,000 has been made available for any more information regarding the theft. 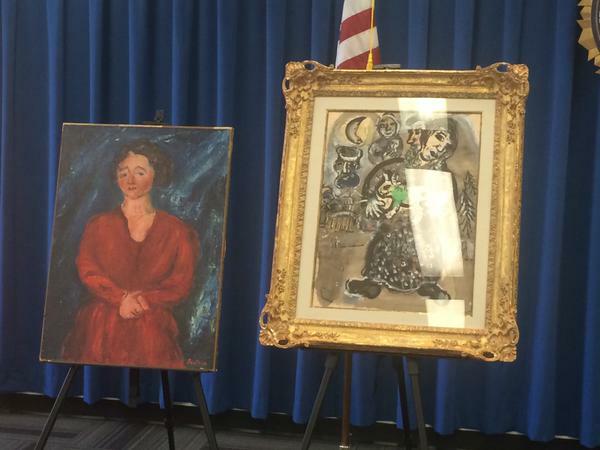 Art was recovered on US soil. Tip came from overseas person. Due to active investigation, no details will be released. Encino couple stolen from in 2008 has since died. Insurance made a payout and family may be able to purchase it back. 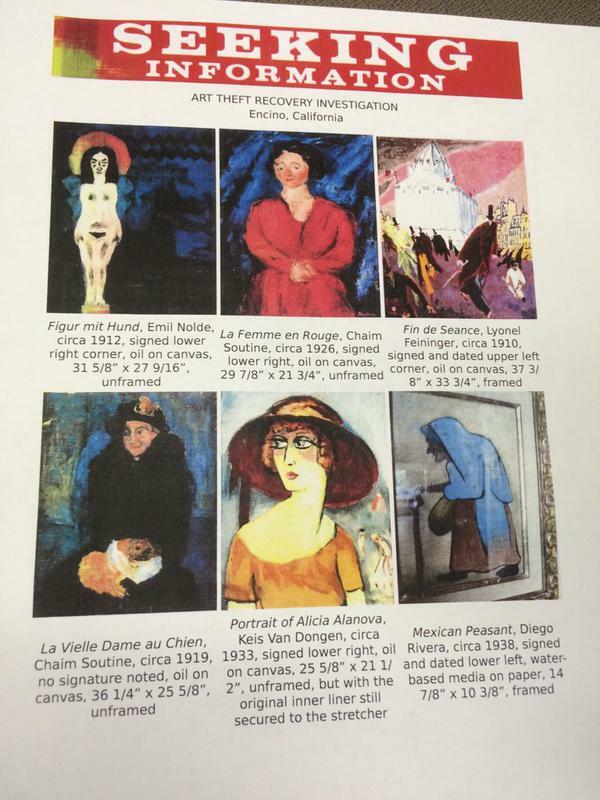 Undercover agents posed as art buyers in order to recover art. Took place at a local hotel. The victimized couple: Husband died within 4 months of the crime. Wife died earlier this year. Hrycyk: A lot of time has been spent on this. On art - "Some frames have been removed." Three outstanding pieces to be recovered. 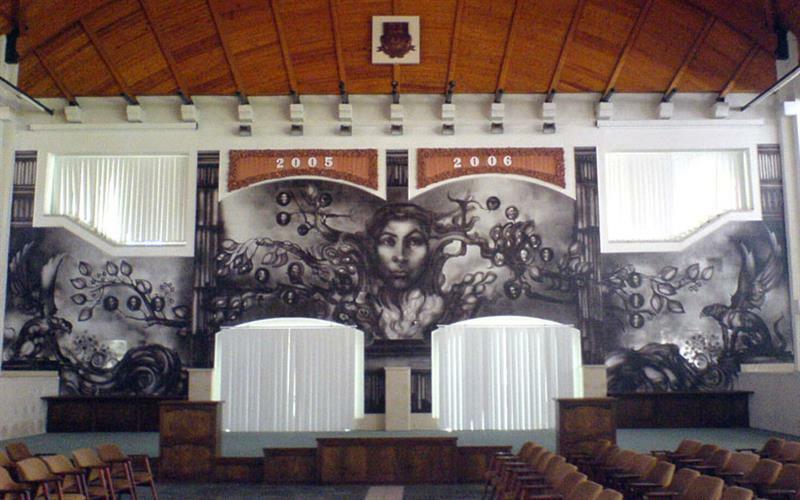 Believe one of them to be by Hungarian artist Szasz.